LUCENA CITY – Former senator and Quezon 4th district Cong. Wigberto Tañada, now 83 yrs. 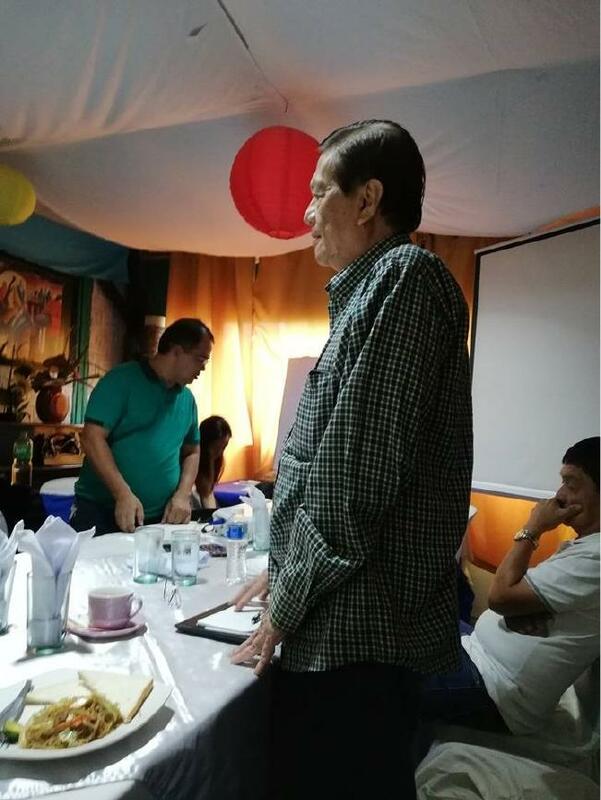 old, has vowed ‘the fight goes on’ as he meet up with political campaign operators for his son, Liberal party senatorial candidate Lorenzo ‘Erin’ Tañada III. At the preliminary meeting for the Quezon campaign segment of Erin Tañada for Senator movement held at the Tsuki Restaurant in Bgy. Iyam here, the old Tañada vowed to continue the struggle for the protection of human rights and promotion of the welfare of the people now being imperiled under the present administration of President Rodrigo Duterte. “Our struggle has to continue for the protection of our human rights and promotion of our welfare even under the present administration and I hope we will get organized and campaign as one with the senatorial candidacy of my son, Erin. The fight goes on,” said the former senator in slow and barely audible Tagalog as he stood and faced several of the political volunteers who came for the meeting. “Kailangan mag-ingay tayo na may kandidato tayo sa Quezon na dapat nating tulungan at marami pa sa mga malalayong barangay ng ating lalawigan ang hindi nakakaalam na kandidato si Erin Tanada para sa senado,” Benjie Romero, who heads the national campaign of the young Tanada, told his fellow political volunteers which included Hobart Dator Jr., a scion of a political family from Lucban town which started almost at the same time with the national political struggle of the so-called ‘grand old man of Phil. politics’, the venerable senator Lorenzo Tanada Sr. in the 60s. 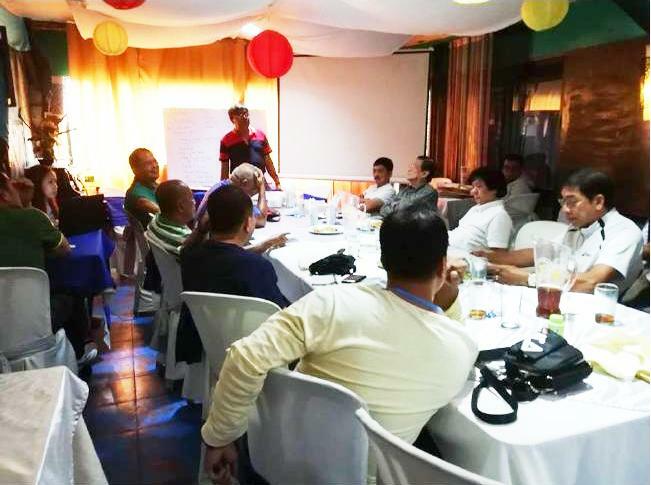 Romero stressed to heighten awareness and to link up with local political candidates, nongovernment and political-oriented organizations in the entire Quezon province to deliver the votes for the young Tanada. Lito Decepeda, in charge of the provincial campaign in Quezon, sought to establish campaign focal persons and surrogate speakers, ardent volunteers and the identification of issues and concerns, like the coconut levy issue, charter change, etc. for the high level campaign of the young senatorial aspirant. Dator and John Bello, Sentinel Times editor in chief, were invited to the meeting and asked to help in the political campaign for the election of Tanada. Dator expressed the view that both Tanada and Dator have continued to campaign on the platforms of integrity, principle and conviction in national and local politics and in no time these are needed than in the present in which political institutions are being threatened by the present Duterte administration. Earlier, Dator has called for unity and support of all Quezonians for the senatorial candidacy of the young Tanada, so that the whole province will have a new voice at the senate. At the slide presentation, it was shown that the LP in Quezon has only 4 candidates for its provincial candidates namely, former agriculture secretary and former congressman Proceso Alcala as congressman in 2nd district; incumbent provincial board member Hermilando Alcala Jr. and Lucena city councilor Boyet Alejandrino for board members also in 2nd district; and former board member Techie Dator for board member in 1st district. LP has no candidates for governor and vice governor and congressman for 1st, 3rd and 4th districts in the whole province. It has 2 candidates for vice mayor in Tayabas city and Infanta, 1 councilor in Mauban, 2 councilors in Tayabas city in the 1st district; in the 2nd district, LP has a complete slate only in Dolores from mayor to councilors; has 2 incumbent and reelectionist candidates for councilor in Lucena city; incumbent and reelectionist candidate for vice mayor and 3 candidates for councilor in Sariaya; in 3rd district, it has 1 candidate for vice mayor and 3 candidates for councilor in Macalelon; and 6 councilor candidates in Mulanay; while in the 4th district, LP has 2 mayoralty bets in Alabat and Calauag with 7 councilor bets; 2 vice mayoralty bets in Calauag and Perez; 5 councilor bets in Alabat; 1 in Atimonan; 1 in Gumaca; 4 councilor bets in Perez and 1 in Quezon town. Both Romero and Decepeda expressed the urgent need for the Tanada senatorial campaign to link arms with other candidates from other political parties and form strategic alliances with other political groups. The young Tanada is among the 8 candidates to be fielded by the united opposition in the May 2019 senatorial race which include former Solicitor General Florin Hilbay, election lawyer Romulo Macalintal, former senator Mar Roxas, Magdalo partylist Rep. Gary Alejano, senator Paulo Benigno Aquino IV, College of Law dean of the De La Salle University Jose Manuel Diokno and former member of the Bangsamoro Transition Commission Samira Gutoc. Former senator and Quezon 4th district Cong.